How do you get the most from your table image? Knowing what other players think about you is one thing - but formulating a strategy to exploit them back is another. Download this free audiobook chapter from Unfolding Poker and see exactly how you can start using your table image to your advantage in your next session. Occasionally we would like to send you news, updates, and special promotions about our products and services. By checking the “I Agree” box directly below and submitting your email address, you are giving us your express consent to send you these types of emails. What Do You Mostly Play? 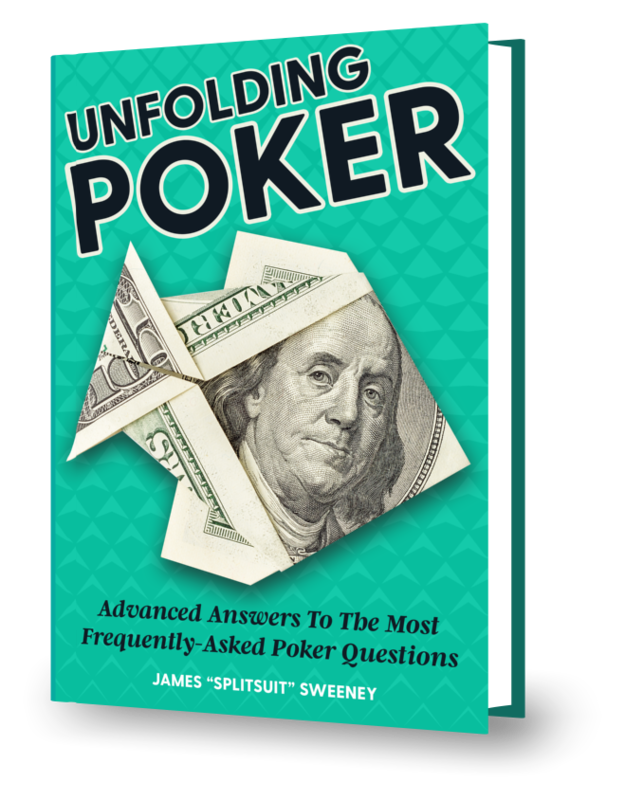 Unfolding Poker takes some of the most frequently-asked poker questions - and gives you clear answers that you can actually use. Instead of getting lost in another theory-heavy book that seems impossible to finish - use Unfolding Poker to get answers that you can actually implement in your next session. "This is not a weighty tome that will take months to read, but is instead packed full of practical advice aimed at making you a winning player. The book alone is awesome, with its convenient links to additional material, but the audio version is out of sight"
Being aware of your table image is CRUCIAL no matter what you play (or where you play it). Listen to Chapter 19 right now and see how a pro adjusts correctly.